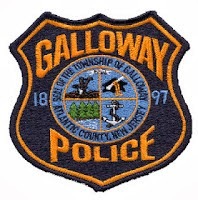 On July 11, 2014 at approximately 6:30 p.m., Galloway Police responded to a call regarding an male driver exposing himself. Two 17-year-old female victims were walking on Route 9 (S. New York Road) in the area of the Fairway Villas at Seaview when a suspicious vehicle pulled up next to them. The male driver made several inappropriate comments to the victims and exposed himself to them. The victims walked back into the Fairway Villas complex at which time the suspect followed them for a short distance and then parked. The victims did not contact police for approximately one hour. Once police were notified officers were unable to locate the suspect. The suspect is described as a white male, 18-19 years of age, wearing a blue shirt and brown pants. He was driving a dark gray 4-door vehicle. Police are investigating if this incident is related to similar incidents in other jurisdictions. Anyone with any information is asked to contact the Galloway Township Police Department Detective Bureau at 609-652-3705 x 318. Those who are confronted with these types of situations are reminded to get to a safe area as quickly as possible and report the incident immediately by calling 9-1-1. While getting to a safe area, victims should attempt to get a tag number from the vehicle and take notice of the direction that the suspect flees if they leave prior to police arrival. Movies in the Park - The LEGO Movie on July 25th!